Join First UU Hiking Club at California Woods! Saturday, March 30, 2019, 11:00 a.m. Offsite. 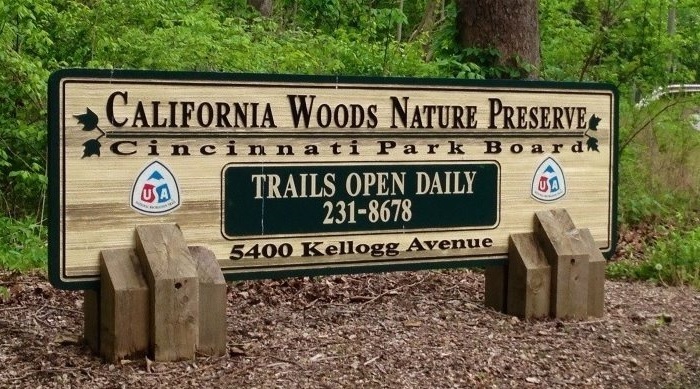 All ages are welcome for this hiking event at California Woods Nature Preserve, 5400 Kellogg Avenue, Cincinnati, Ohio, 45230. We’ll meet in the parking lot. Please RSVP to Kyle Mesrin via email to the address below. Please include your cell phone number, so that last minute changes can be communicated if needed. If you have questions, call Kyle outside of work hours at 513-919-6356.